The “blowfly” concept clock forces users to get out of bed in order to disable the alarm. The blowfly is actually a mini-copter that flies around the room emitting what is supposedly an annoying, mosquito-like buzzing. Designed to lay down & scrub the industrial strength clean to your hardwood, linoleum, tile, and marble floors. Robot for floor Swiffering needs, can also handle your email and act as a security system presumably being most effective against intruders with dust mite allergies. device designed to keep butter at an “optimal spreadable temperature” of 65.3 degrees. 5.4 x 3.6-inch LCD manages a 720 x 480 resolution which is bright and visible at all angles. Photos can be displayed directly off all the major memory cards or transfered to the display’s internal storage via direct card-to-frame transfer or via your USB connected PC or Mac. new model looks like the current KX-TG5456S from Panasonic pictured above; Skype contacts on a color screen. Safe Bugatti. A luxury vault from Germany’s Stockinger Safety. The box has leather-lined drawers, built-in watchwinders and LED lights. Available upgrades include a seismic detector, floor anchors, and GPS. Home Phone Control line blocker. 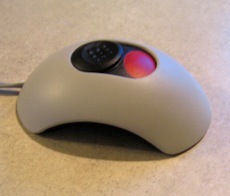 Button push manual device with line-splitter for quickly and easily shut off all the phones in the house blocking both inbound and outbound calls. 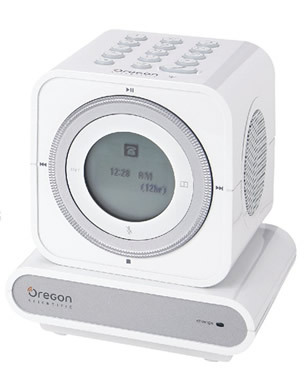 Oregon Scientific has world’s first wireless speakerphone mp3 player radio alarm. Speakerphone with a SD card mp3 player and an alarm clock with FM radio, of which Oregon claims . Inside this Kenmore dishwasher are rotating spray jets that blast away baked-on, tough-to-clean messes without harming your dishes.